The Last Day Of Term It’s the last day of term at the Gilda Ball Academy and time is running out: a teacher faces the sack following an anonymous allegation of child abuse… Told within a single day, The Last Day of Term interweaves the gritty realities of teenage life in an inner-city school with a touching and comic story of a man in crisis. 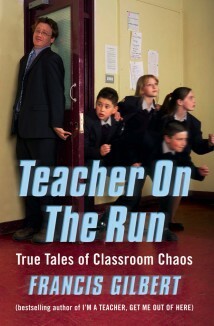 Teacher Martin Hick is about to get the promotion he s wanted for years, and has vowed to rescue his failing marriage. Cut to a grim council estate in east London, where Bela, an internet-addicted teenager, lives with his chain-smoking mother and aristocratic great-uncle both Hungarian emigres. Bela’s life has been ruined since Martin had him expelled from Gilda Ball a few weeks previously, and he is trying to plot his way back into the school. So when, on the last day of term, Martin is confronted with an anonymous note accusing him of abuse, he naturally assumes Bela to be the source. The truth, as he will discover, is never quite that simple. 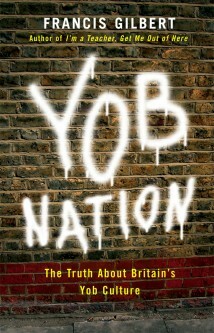 Francis Gilbert takes the reader on a frightening journey to the dark heart of Britain’s yob culture. Starting with his own encounters with yobs in his childhood and while working as a teacher, Gilbert moves beyond his own experiences to investigate the thuggery and foul behaviour that blights our streets, our workplaces – and even the heights of the British Establishment. 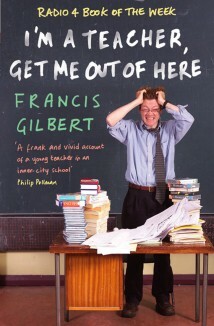 After three years of teaching at Truss, an inner-city sink school, Francis Gilbert has been offered a job in the English department at his old school, a nice suburban comprehensive. Like a prisoner out of Colditz, he feels like he’s just landed a job in toytown. 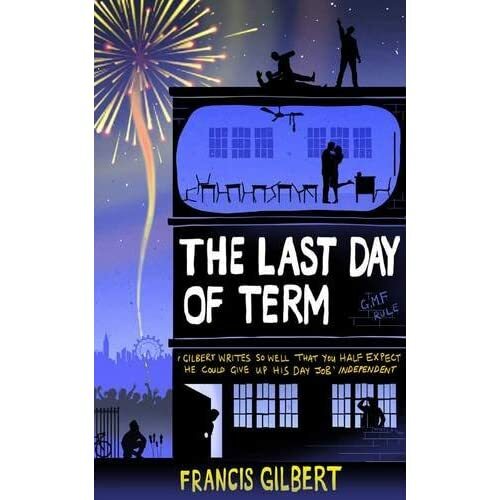 But, with Mr Morgan, the deaf old English teacher, still cackling, the staff room politics in tatters, alarming complaints from the parents and, worst of all, the memories of his own disturbed childhood suddenly rushing back at him, how long can Gilbert’s dreamland last? By turns hilarious, sobering and downright horrifying, I’m a Teacher, Get Me Out of Here!contains the sort of information you won’t find in any school prospectus, government advert or Hollywood film. 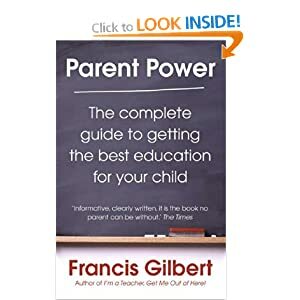 In this astonishing memoir, Francis Gilbert candidly describes the remarkable way in which he was trained to be a teacher, his terrifying first lesson and his even more frightening experiences in his first job at Truss comprehensive, one of the worst schools in the country. 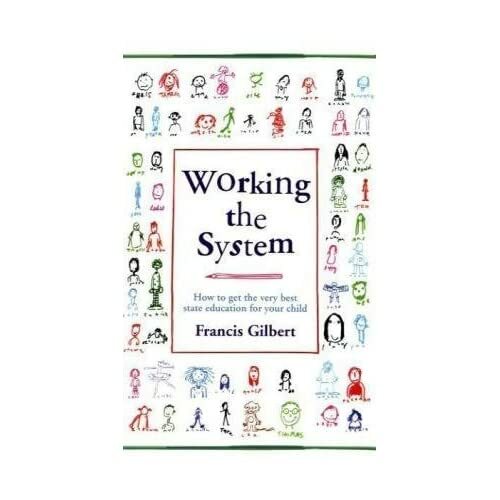 Follow Gilbert on his rollercoaster journey through the world that is the English education system; encounter thuggish and charming children, bad and brilliant teachers; learn about the sinsiter effects of school inspectors and the teacher’s disease of “controloholism”… spy on what really goes on behind the closed doors of inner-city schools.